Well, maybe not completely different, but a change of pace as we explore the wonderful world of saké. Today’s post is part of collaborative experiment with a wonderful group of creative gals. (If you’ve been following along, you might recall these ladies from one of my trips to Hog Island.) Each of these amazing women is extremely creative in different areas. As we got to talking we realized that all of our talents could potentially come together in fun and interesting ways. We decided to get together for a fabulous lunch, each contributing a different aspect, to see where it all would lead. (I’m calling us a Creative Coven.) For our first endeavor, we decided to center our lunch on saké pairings. I think the result of this first experiment was delicious and beautiful and I hope it’s the first of many collaborations in the future. Let me introduce you to these fantastic women. My partner in chefing and pairing the sakés was the lovely Kristin Posner. Check out her site Nourish where Kristin aims to bring people together around the table to connect over traditions, particularly through the lens of building a Japanese and Jewish home. Our photographer for the day was my dear friend Maile Ogasawara. (I took a few pics on this post, but all the beautiful ones are hers.) I’ve been buds with this lady since NYC. She beat me back to the West Coast by a couple of years and it has been so fun hanging out again since we’ve been back in Cali. She’s also the one responsible for originally getting this group together. In addition to taking all of these beautiful shots, Maile is a talented jewelry designer–she made all the pieces you see here (with the exception of the turquoise leaf necklace I’m wearing in one pic). I have several of her beautiful, minimalist designs and they are among my absolute favorites. Her earrings are light as air and they go with everything! Check out her site BatsuMaruXO.com. Catherine Gutierrez was a jack of all trades during our lunch/shoot. She is responsible for the beautiful oil on canvas you see in the background in many of these shots. She also made the Ikabana (Japanese style) flower arrangement you see here, helped with the food styling, was my sous chef for a sec, and served as the model in most of these shots. Kristin and I each chose a saké around which to build our lunch. She picked a favorite saké of hers–Sequoia Junmai Ginjo Nama Genshu. It had a creamy texture with notes of green melon, light squash, yuzu, lemon zest, tangerine, and ginger spice. She then created two beautiful starters to pair with this saké–a Crudo of Scallops and Fig and a Japanese-style Caprese. You can find the recipes for both here. I took on the main dish. For my saké, I headed to Umami Mart in downtown Oakland. 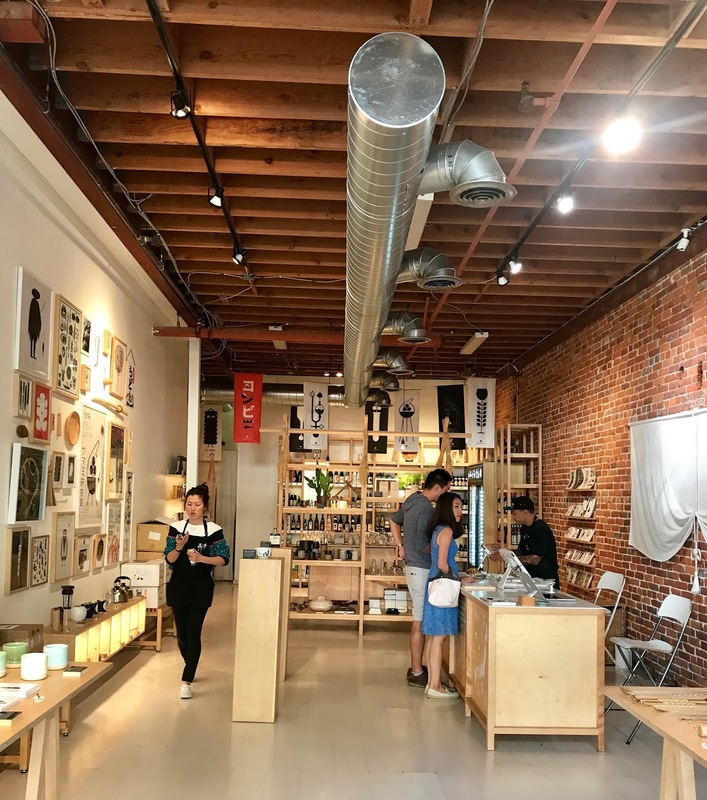 This shop has a fabulous, well-curated selection of Japanese products–everything from beautifully designed items for the kitchen and home, to interesting ingredients, and most importantly on this occasion, saké. I am not at all as well-versed in saké as I am in wine–not by a long shot–so I definitely relied on the shop staff to guide me to me a selection. I took home the Ichinokura Mukansa Extra-Dry Honjozo. Greg tasted it with me even though he wasn’t going to get to be a part of the lunch. We picked up notes of melon, guava, and light floral tones on the nose. It was more crisp and savory on the palate with delicate enoki mushrooms and herbs along with a few of their stems. There were also fruit notes of lychee and lime pith, as well as those notes of melon and guava, and a faint hint of vanilla. 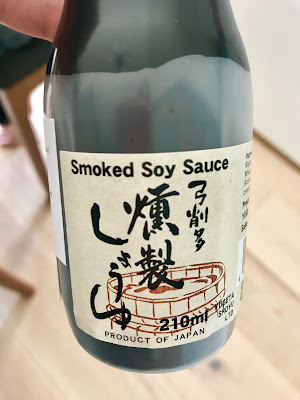 The salesperson that helped me out at Umami Mart told me that this was a pretty versatile saké, but that it would go particularly well with savory dishes. Our notes were taking us in a similar direction, so I decided to play up that savory/umami factor with a salmon dish flavored with soy sauce and mushrooms. I wanted to bring out the delicate enoki mushroom note by using them in the dish; however, I was unable to find them at the store that day. I picked up a gourmet blend of mushrooms at Whole Foods instead that included Royale Trumpets, Clamshells, and Forest Nameko among others and mixed those with basic cremini mushrooms. You should be able to use pretty much anything typically found in the grocery store. To bring in some different textures and to play up the sweeter flavors of guava and melon, I decided to tempura some butternut squash for garnish. I used packaged butternut that had been pre-cut into cubes to save myself some time. For a final flourish of flavor on the dish, I added a few drops of a smoked soy sauce Kristin had available to each portion just before serving. I can happily say that my first foray into saké pairing went quite well. Both sakés work pretty well with all of the dishes, but as planned, Kristin’s did play a little better off her dishes, and vice versa. The creamy notes of her saké worked particularly well with the silky texture of her scallop crudo and the savory flavors in mine were perfectly set off by the soy-based sauce with a light sweet accent from the squash. This was such a wonderful afternoon and it was so much fun working with these ladies–I can’t wait for our next meeting! Makes approximately 6 servings. Prep and cooking time altogether was about 90 minutes., although not exact as we were bouncing about and switching off in the kitchen. Preparation notes: In this case I went ahead and fully prepared the butternut squash tempura before starting on the cod. The cod cooks fairly quickly and the squash will hold relatively well in an oven or toaster oven while cooking the fish. They also served as handy chef snacks while the rest of the food finished cooking. 2. Toss the butternut squash with a tablespoon or two of cooking oil, a pinch of ginger, salt and pepper. Place the squash on a single layer in a baking dish or sheet. Roast in the oven for about 25 minutes, or until fully cooked through, tossing once halfway during the cooking. Note: Maile was my tempura guide and she mentioned that the batter must always be kept really cold. Her recommendation was to keep the batter bowl over another bowl filled with ice. We also kept the tempura batter in the freezer while the squash roasted. 4. Once the squash is cooked through, remove from oven and layer on paper towels to remove excess moisture/oil. 5. Heat oil in a large pot (at least 2 inches deep) or a deep fryer. 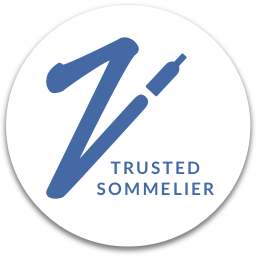 Once the oil is hot (350°F-360°F, or drop in a test piece when the oil looks like it has a light shimmer) drop the squash in small batches. (We used chopsticks for extra precision.) Do not overcrowd the pot. Transfer to paper towels once golden brown. Set side and keep warm until ready to serve. If needed, hold in an oven/toaster oven at around 250°F. 1. Heat a couple tablespoons of oil in a large pan over medium-high heat. If you’re working with mushrooms of different size, add the largest ones to the pan first and give them a quick sear on multiple sides. Add the rest of the mushrooms to pan. Once they’ve begun to soften, add the cooking saké, soy sauce, rice wine vinegar and the ground ginger. Add ¾ of the green onions when the mushrooms are nearly cooked through–reserve a couple of tablespoons for garnish. Cook for another minute or two. 2. (Optional. See note.) Once all the mushrooms are fully cooked through, use a slotted spoon to transfer them to a separate bowl, leaving the cooking liquid in the pan. Keep the mushrooms warm. Note: Transferring the mushrooms to a separate bowl is completely optional. You can also poach the cod fillets nestled among them if you want to minimize the number of bowls/plates used to not create extra mess. However, transferring will give you more control over their appearance for presentation purposes. 4. Once cod is cooked through, serve topped with a little of the cooking liquid and the reserved mushrooms. Garnish with the remaining green onions, a little smoked soy sauce (if using), chili pepper (if using), and the butternut squash tempura. Bonus! If you ever come over to NibblingGypsy.com you’ll find out pretty quickly that I love a Leftover Makeover. I went ahead and made an easy one with the a couple of remaining pieces of cod at home. (So Greg did get to taste it in the end–in some form at least.) This one was about as easy as it gets. Since cod is pretty delicate, I just went right ahead and flaked it up. I reheated it over gentle heat and added these tofu noodles I really like. They’re really mild in flavor–so they just take on whatever flavors you add. They’re a little lighter and less toothsome that traditional noodles, but make a great healthy alternative. I topped it all off with a little sprinkle of Nori Komi Furikake (seaweed and sesame seasoning). Maile's pics are so beautiful, I can't resist putting up a few more to close! All the dishes had an element of the unexpected which kept me going back for more. From the tofu in the caprese to the crunchy texture of the butternut squash in the cod dish and fig with raw scallops, I was just amazed at how everything went together. So grateful I get to be a part of this coven and will taste test any recipe these two create!! I got to model Maile’s timeless jewelry during this fun shoot/lunch. I proudly own all the pieces I’m wearing and look forward to her new creations for the modern woman. Thanks Lady! you were an amazing model and the art and flowers were so beautiful! I loved the tempura butternut squash- I would not have thought of that myself, but it worked so beautifully! There was something so comforting about the combination of tempura butternut squash, assorted mushrooms and soy poached cod. It felt like the perfect dish to welcome the fall season with. Been wanting to test out a non-traditional shiratake recipe and this looks like the perfect weeknight meal 👍. SO fun collaborating with you. Same lady! It was a beautiful day! The staff here is actually competent and friendly, unlike other places with their pretentious staff guys. The home studios NYC were magnificent and modern, and the seating was comfy. Truly, the food was heavenly and as a visitor I am glad for finding this one.